Our rooms are fitted with queen sized beds, large enough for occupancy of two (2) guests per room, with private wash rooms. We also serve you with breakfast. Our staff and reception are always on stand-by to attend to every guest's needs 24/7 hours a day to make your stay at Jeyads a memorable one. Our facility also provides laundry services to guests; ranging from washing, dry cleaning and ironing. As a convenience to our guests, we provide free shuttles to/from Airport and Transport Stations. Before you touch ground, our staff will be there to pick you up. As a convenience to our guests, we arrange visits to tourist attraction sites in and out of the region to make your visit a memorable one. 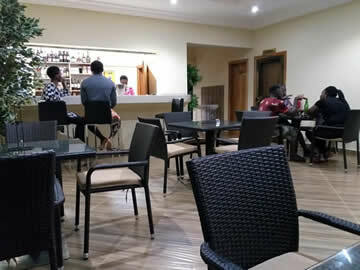 Our restaurant provides continental and local dishes with a well stocked bar with an array of alcoholic and non alcoholic beverages. 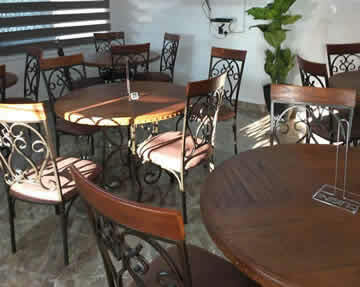 Jeyads Lodge has a serene environment where you are assured of good relaxation, comfort and luxury.